The only robin in the region with a white wing bar, throat and breast. 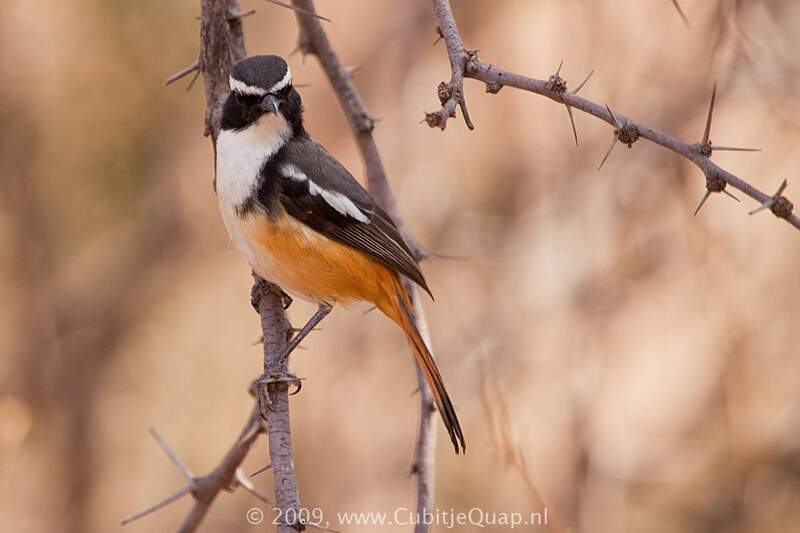 The rufous tail with a dark centre also differs from the tails of other robin-chats in having black tips to all the feathers. 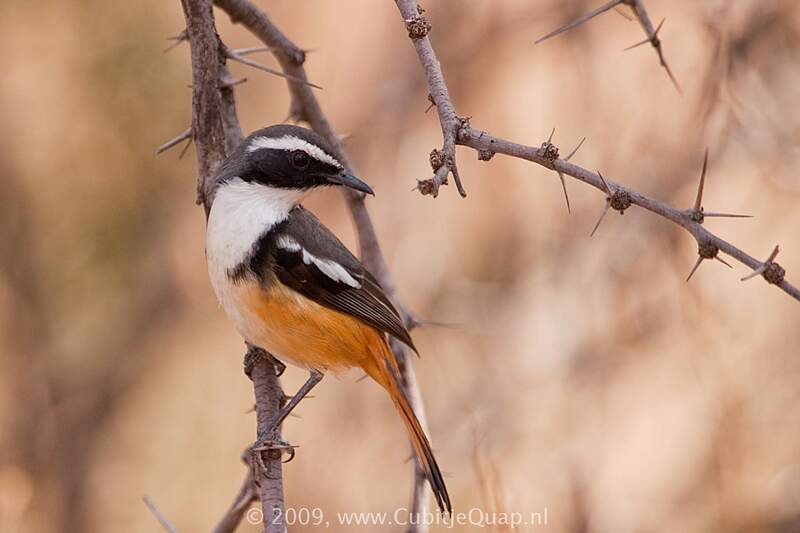 Usually seen as it dashes for cover, it gives the impression of being a small, black-and-white bird with a red tail. Juvenile is sooty coloured, heavily mottled with buff and brown above and below; it lacks the white wingbar but has a rufous-and-black tail like that of adult. Dry thornveld, thickets and riverine scrub. Alarm call a repeated 'seet-cher, seet-cher'; song an attractive medley of whistled phrases incorporating much mimicry of other birds' calls.